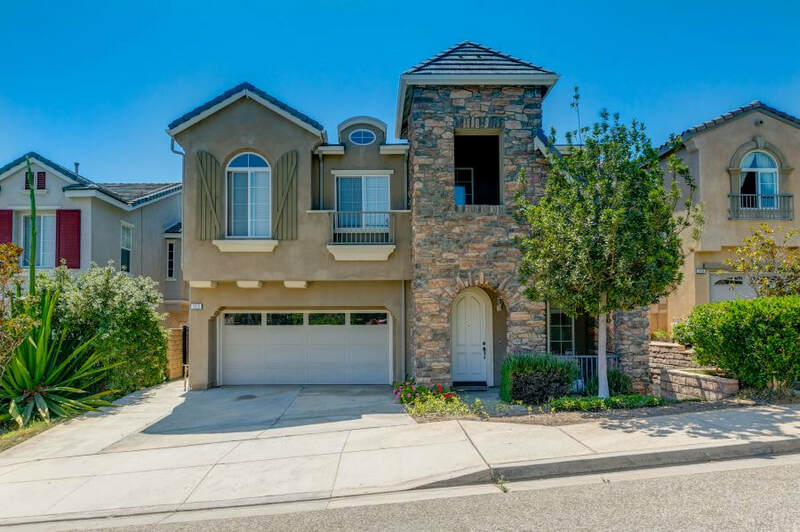 Enjoy all that Ventura has to offer from this beautiful home in the centrally located Island View neighborhood! Minutes from Montalvo Square shopping center, Montalvo Hill Park, Ventura Harbor, Montalvo Arts Academy, Ventura Pier and Promenade, and beautiful beaches, this walkable neighborhood offers easy access to shops, restaurants, salons, fitness centers, Trader Joe’s and more. Commuters will appreciate the proximity to the freeway, students will enjoy the short drive to Ventura College, and everyone will love how this central location allows you to more fully partake in local activities and attractions. Once you step inside, you will immediately notice the imported, Italian tile flooring found throughout the first floor. This gives way to a carpet inset in the living room where you will find a cathedral ceiling and a large loft looking over the living room and entry. A coat closet is conveniently located in the entry for you and your guests to stow your coats and shoes. 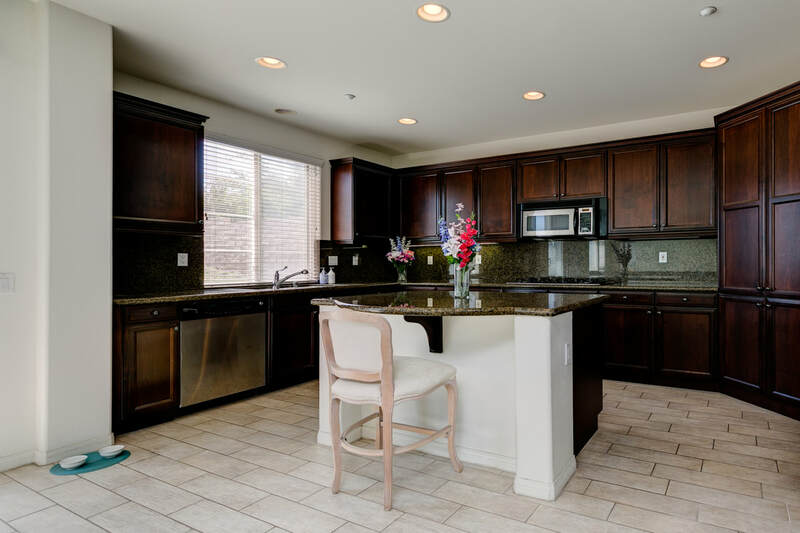 Just beyond the living room is the formal dining room followed by the kitchen with a casual dining area, double ovens, island with breakfast bar, granite counter tops and backsplash, and plenty of storage in gorgeous, fruitwood cabinets. A sliding door leads to the patio, which makes grilling and indoor-outdoor entertaining easy and convenient. 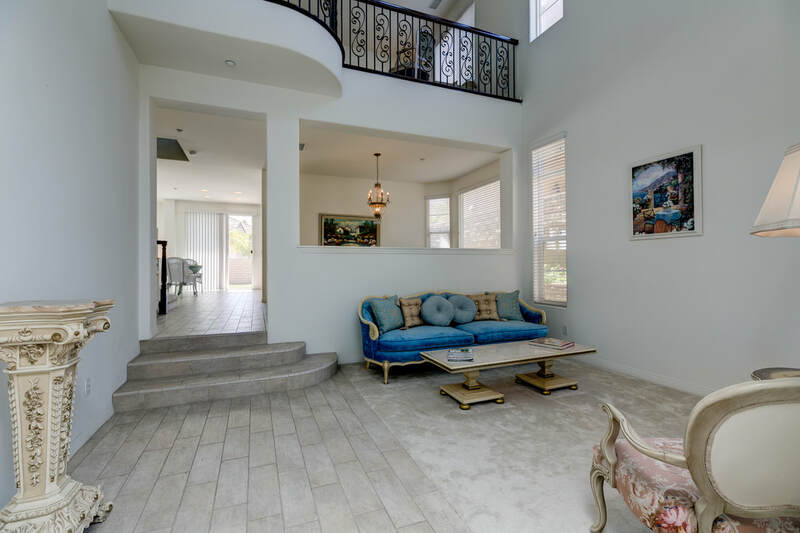 Next, you will step down to the family room with Italian tile flooring, a gas fireplace, entertainment alcove, and large windows that bathe the room in natural light. A short hallway leading to the door to the two-car garage offers access to a walk-in storage closet for coats or cleaning supplies, as well as a powder room with tile flooring and a tile vanity. At the top of the carpeted stairs leading to the second floor, you will find an art alcove at the landing and a coveted, upstairs laundry room with a sink and storage cabinets. This is also where you will find the two guest bedrooms with high ceilings and large closets, as well as the guest bathroom with a tile bathtub-shower surround, a carpeted dressing and vanity area, and a dual-sink vanity with a tile counter. As you step up to the master level, there is a large, versatile loft space overlooking the living room and entry. This space could be used as part of the master suite as a seating area or could be used as a library, game room or yoga space. Built-in cabinets offer storage for board games or linens, while lots of windows allow in natural light. In the master bedroom, cozy carpet covers the floor and the room is bathed in natural light from large windows. From here, you can even enjoy a city view while you prepare to retire for the day. Plus, there is a large, en suite bathroom with separate lavatory, over-sized, oval soaking tub with a tile surround, a dressing area with built-in cabinets, and a large, walk-in closet. The walled backyard features mature landscaping and a large patio for outdoor entertaining. There is a 2018 home inspection report and termite inspection report available, and the tile roof was inspected and received a tune-up in 2018. Don’t miss this opportunity to live in the Island View neighborhood where you can conveniently enjoy Ventura’s many offerings and the proximity to the freeway allows for easy access to Santa Barbara and Thousand Oaks for even more shopping, dining and entertainment options. Contact Nora today to learn more or schedule a showing!